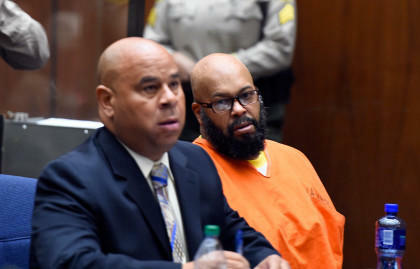 LOS ANGELES -- Two Los Angeles attorneys who represented former rap mogul Marion "Suge" Knight were arrested on warrants alleging they were accessories after the fact to a felony, authorities said. A text message sent to Fletcher's cell phone Thursday night was not immediately returned and a woman who answered the phone at his law office declined comment and hung up without giving her name. A telephone message left for Culpepper was also not immediately returned.